Jack Gilbert was born in Pittsburgh, Pennsylvania, in 1925. 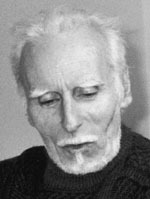 He was educated in Pittsburgh and San Francisco, where he later participated in Jack Spicer’s famous “Poetry as Magic” Workshop at San Francisco State College in 1957. He passed away in 2012.